Columbia Christian Schools has a rich history of education in the Portland community. Here is a brief history of the school, its accreditation and governance. 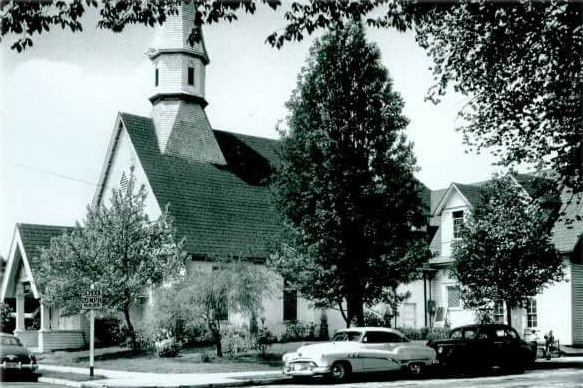 In September 1947, Columbia Christian Schools, known as Columbia Bible School, opened its doors for the first time using the church of Christ building at Seventh and Hassalo Streets in Portland, Oregon. The school began with four teachers and thirty-six students in grades one through eight. From the beginning, chapel and daily Bible classes were an important part of the curriculum. In 1949 the school obtained eight acres between 90th and 91st Streets, bordered on the north and south by Glisan and Burnside. Construction of the school building began in 1953 and was completed in 1954. This allowed the school to expand, adding a full high school. Through the remaining years of the 50s and the following decades the school continued to grow and experience progress with increased enrollment and stable leadership. A four-year college grew out of the early beginnings of the school and the academy and college were chartered and incorporated together. In the fall of 1992 Columbia Christian Schools became independent and incorporated and appointed its own Board of Directors. The school continued to grow, and in the fall of 2000 dual accreditation was awarded for Kindergarten through 12th grade by the Northwest Association of Accredited Schools (a division of AdvancED) and the Association of Christian Schools International (ACSI). Accreditation benefits both the student and the school, ensuring that quality standards are met in each and every aspect of the school. Most importantly, accreditation provides validity to the education program, ensuring that Columbia students are readily accepted into colleges and universities. Further, accreditation allows the school to apply for grants and outside funding from private agencies. Our Pre-Kindergarten program is licensed by the Oregon Child Care Division as a certified childcare facility. We are pleased to share some of the feedback our school received from ACSI and AdvancEd after our accreditation renewal site visit in the fall of 2015. In June of 2012, Columbia was able to purchase the 12-acre campus, significantly expanding its facilities and potential for continued growth. The Board of Trustees and the administration for Columbia Christian Schools are planning and praying toward further expansion of the school, both in student enrollment and additional programs. Columbia Christian Schools is governed primarily by the Word of God, as understood and applied by the school’s Board of Directors and administration. The Board of Trustees operates under the school’s adopted bylaws, mission statement, school objectives and faith statement, and it provides policies to the President and Principal for implementation in the school.